It's obviously a flat pack and I built this, well actually I assisted while my lovely Father in Law built it! 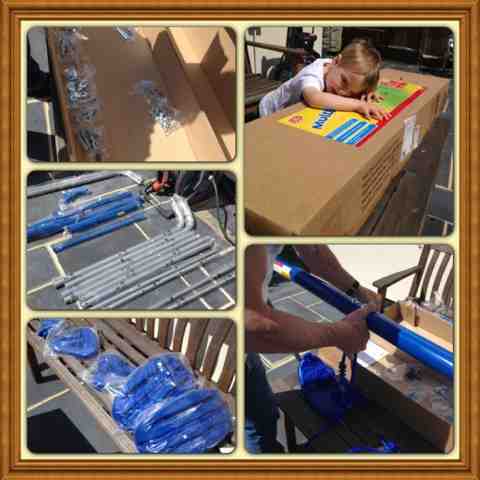 I'd say his flat pack build level is expert while mine is very much beginner ... epic failure! The first thing tht surprised me was how quickly it arrived and how small the box was! I'd have thought a swing set would have been in a big tall long heavy box but this easily fits into a car so you could collect this from a store if you wanted! The one we reviewed is currently on offer for a great affordable price of £49.99 and Argos do an extensive and great range of double and single swing sets at reasonable prices. This is where I'd have ripped everything open and got stuck in if it wasn't for my Father in Law! The instructions had a build time of 30 mins for two people - it took two of us (with a bit of help from a third adult and a child helper) 2hours and 5mins from start to scratch - with my Father in Law being a bit of a flat pack expert, I'd say the instruction build time could do with a spot of revision. • the closed spanner tool would have been more useful if it was open as it doesn't allow for adjustments once the swing hooks are in place. • the seesaw footrest spring washer is very tight to fit. • the base legs of the swing are open and hollow tubes which you need to cement into place - as they are open ended if you don't cement it - it will just gradually dig a hole in your ground - would have preferred to be able to move the swing about especially when we move house and to avoid a worn patch in the lawn! 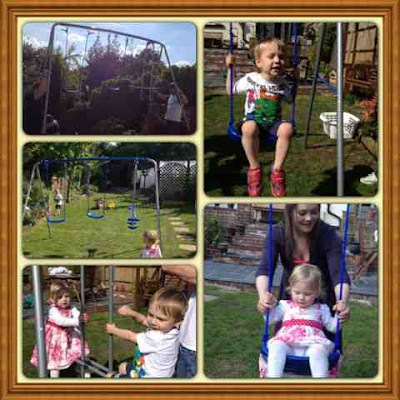 The swing set has adjustable ropes for the length of the swings which is great as you can adjust it to suit your children and the fun glider is great! 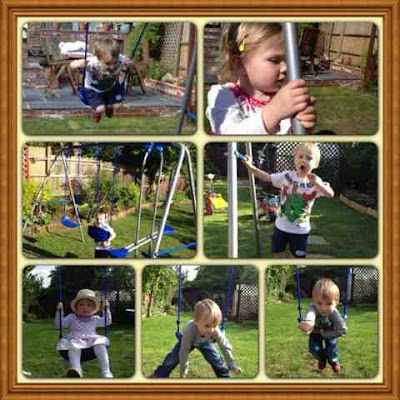 Both my children absolutely love this swing set - it's great value for money! It adds a touch of nostalgia for both me and my husband because as kids we both had a similar swing set to this! Would I recommend this to a friend? Absolutely! * I have not received any payment for my review, all thoughts and opinions are my own, Swing Set provided for the sole purpose of being able to review it.